7 games per day.. Admission $5 for the day..
Top 10 Players representing each grade: “HS” 2018, 2019, 2020, 2021.. “ Next Gen” 2022, 2023, 2024 Northern Maine and Southern Maine are being invited to this highly anticipated North Vs. South preseason event. Site location: Over the years, we have moved the event to different locatiobns.. We started at Brunswick HS in 2001 , Husson University , SMCC, Saint Joseph's College, Falmouth HS, CMCC, Thomas College and others ..
We invite all hoop fans to check out the early season action. Get an early look at players that you'll hear about all winter long .. Admission $5 for the day. ACC runs their famous concession area ..
To players and parent of: We'll begin inviting this week. We'll ask for players to confirm their participation or if unable to play, we then invite the next player on our top player list. It always ends up with a great group of players representing their community in this north vs South by competition by grade . We'll post rosters once all roster spots confirmed..
Why the sudden change in format for AS game? Nowadays, twitter, FB, live streaming , phones create its own self-promotion tool for all communities, schools, etc. So we are going to improve the event by promoting Maine's top 10 players by grade , a preseason view of the top players in this years upcoming senior class and in years to come .. This will make for an exciting weekend providing opportunities to showcase Maine Best ! 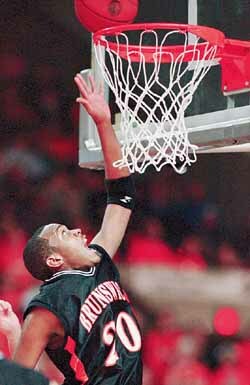 We'll jump around some as we head to this years event ..
Sean Mayo - Franklin Pierce (D2) 2003	Thornton Acad. Ralph ended up playing a lot of ball in Turkey didn't he? Is he still playing? Did not realize that MBR was including middle school players in their All-Star weekend. Interested to see who is included. There are a number of good players in the greater Bangor area. Carl Parker wrote: Did not realize that MBR was including middle school players in their All-Star weekend. Interested to see who is included. There are a number of good players in the greater Bangor area. New format this year after 17 years. Hope to see you there ! A talented list of Maine players.... Can you name where they went to college? video: a few minutes from the game .. pre hd quality .. The girls got tired of watching the boys and got into the dunk contest ! Lots of high flying action with the boys and girls ! This is the 3rd part of the dunk competition ..